WHEN Sunshine Coast mother Evonne stands in the crowd at Adele's Sunday show in Brisbane, one song will be more familiar than the rest. 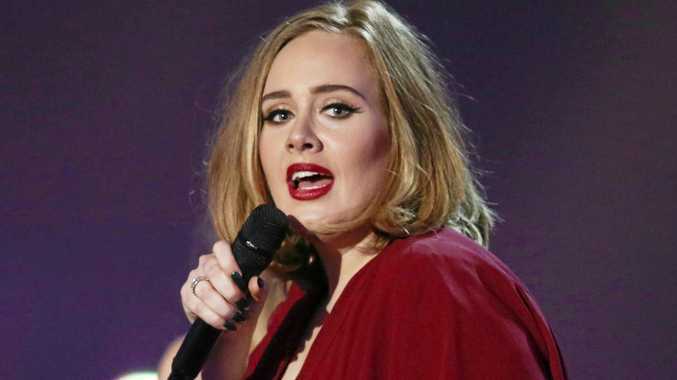 The mother-of-four, who wishes to only be known by her first name, has listened to Adele's song Rolling in the Deep 1432 times over five days to win a double gold pass to the superstar's show in 92.7 Mix FM's In the Deep for Adele competition. Evonne's original goal was 1500 listens, but Mix FM breakfast host Caroline Hutchinson yesterday announced they would let her claim her prize early and that "Adele would be proud". "Evonne definitely earned time off for good behaviour," Ms Hutchinson said. "She was such a good sport all week; we'll miss her from the office, even if we don't miss the sound of Adele blaring through the walls." The surprises weren't over, with the radio station handing over an extra double pass so the "big kids" could tag along with Evonne and her daughter. Host Mark Darin said Evonne must "truly" love Adele to put in such an effort. "We've just found the world's biggest Adele fan; still dancing to Adele after five days," Mr Darin said.